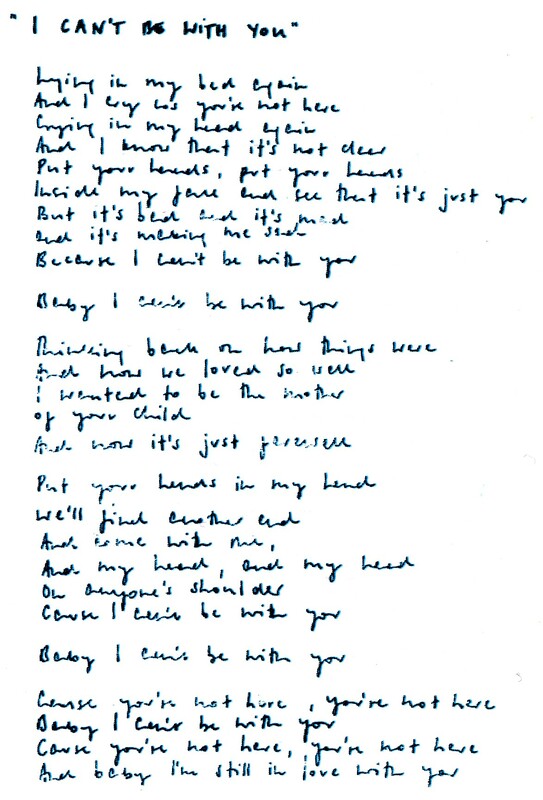 “I Can’t Be With You” is the third single released from “No Need to Argue” in February 1995. A different studio version produced by James Birtwistle was recorded in 1994 for BBC Radio 1 Evening Session. This was not a live, one-take recording like other media performances. This version was released on the “I Can’t Be With You” single. Note that this version is sometimes inaccurately identified as a “demo version”. 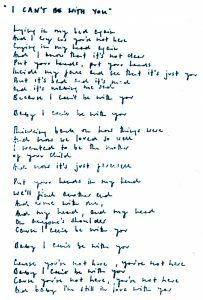 Lyrics on this page were transcribed by our team and aim to be the exact ones (even including all the la la la’s as much as possible) as official lyrics available in different album releases are most of the time incomplete and/or sometimes have mistakes.